Unidoor 23-inch x 72-inch Frameless Hinged Pivot Shower Door in Oil Rubbed Bronze with Handle is rated 4.9 out of 5 by 37. Rated 5 out of 5 by Ivanhoe from Elegant and Functional I installed this frameless shower door on 4/17/17 with the help of an experienced contractor, since the door is too heavy for one person to maneuver. Instructions and technical support provided by Dreamline were very helpful. I am very pleased with the result, which required that the framing & tile work on the opening be plum and square. Rated 5 out of 5 by DIY Steve from DIY yes! 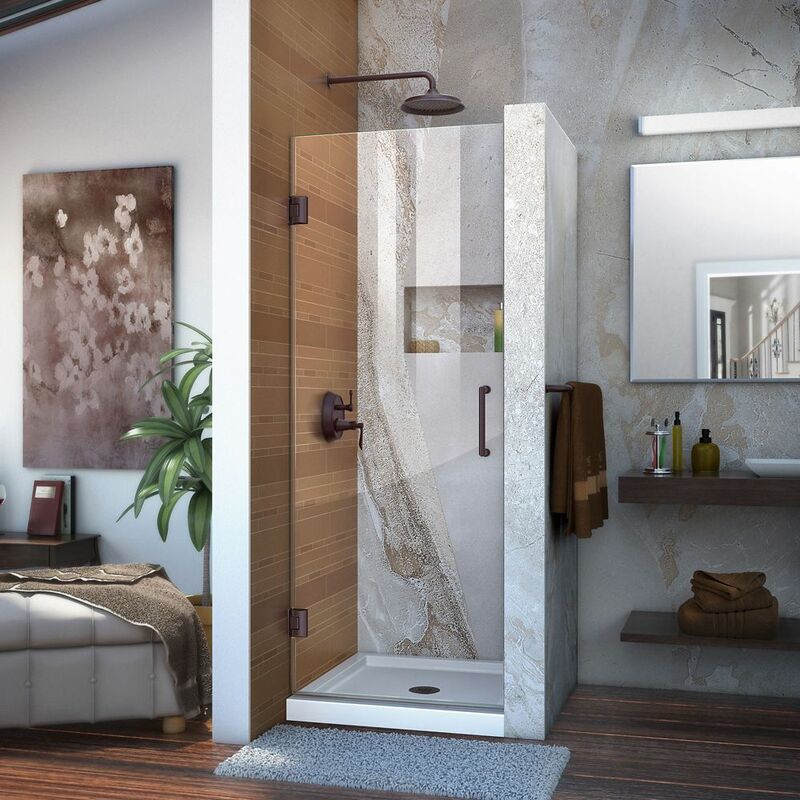 I looked at many shower doors for my remodel project and decided to go with Dreamline for looks and price. This is a quality product suitable for DIY'er as long as you have tools and a helper. Thanks Dreamline!